On the south-east side of Katrina Road (formerly Raven Street), upon a walled embankment beneath an enormous weeping tree stands the graceful Eddy-Bryant House, one of Middleborough's least known historic houses. Also known as the Ebenezer Eddy House, this two story Federal style dwelling generally has failed to receive notice in historical discussions of Eddyville. The house is reputed to have evolved from a small one-story dwelling dating from the late 17th century, said to have been built immediately upon the return of the settlers from Plymouth following King Philip's War. This same tradition has been maintained concerning other Eddy houses, as well, but there seems to be no documentary evidence to sustain such an assertion relative to the Eddy-Bryant House. The front main portion of the Eddy-Bryant House is unusual for its narrow depth. It is this portion of the house which was built in the first quarter of the nineteenth century by Captain Joshua Eddy for his son, Ebenezer (1783-1829). Wealthy Captain Eddy had generously offered to build a house for each one of his seven sons upon the family's lands at East Middleborough. Though two of the sons - Morton and John - declined their father's gracious offer, the other five availed themselves of the opportunity, including Ebenezer. 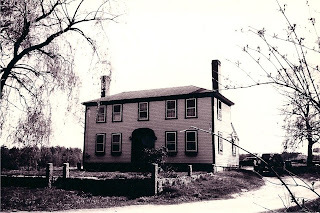 The four houses built for Ebenezer's brothers were the Zachariah Eddy House (the Eddy Homestead at the Eddyville green), the Joshua and Nathaniel Eddy Houses (facing one another across Plympton Street), and the William S. Eddy House (on Plymouth Street opposite Savery's Pond at Waterville), all of which still stand. The Eddy-House thus forms an important component in the historic nexus of Eddy houses at Eddyville. The site chosen for the Eddy-Bryant House was a knoll on the east side of Raven Street, which until the 1960s linked Eddyville with the Green. Though now dead-ended on two ends, the road was once a well-frequented byway running parallel with Raven Brook. second owner, Charlotte (Eddy) Pratt, was a first cousin to both Lucius and his wife, Louisa (Pratt) Eddy, as well as the wife to Louisa's brother Francis Pratt. 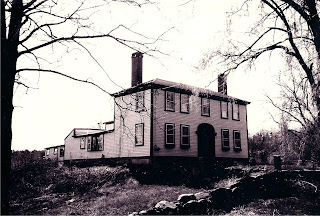 Later, following their removal to Fall River, Lucius and his family used the house strictly as a summer residence. Lucius' eldest son Caleb Francis Eddy inherited the property following his father's death in 1864, but he seems never to have resided there, making his permanent home in Fall River and later at West Newton where he headed the grain and coal firm C. F. Eddy Company. 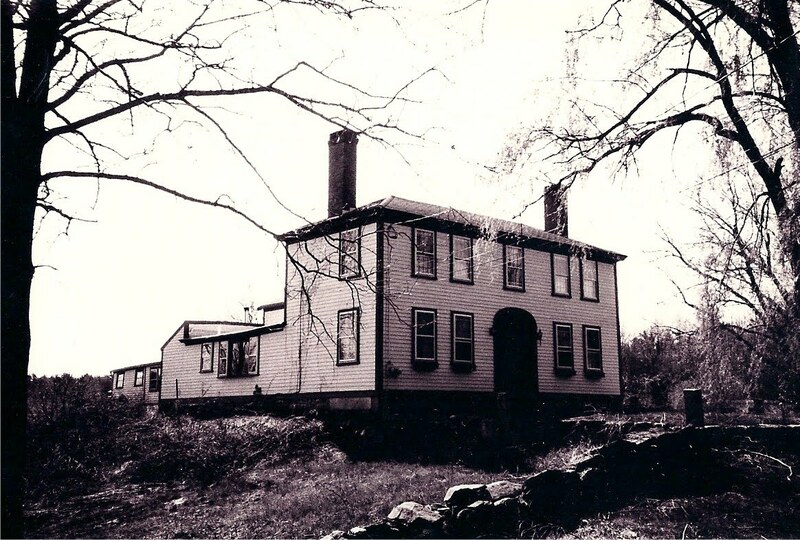 At the time of his removal to Newton, he disposed of his Middleborough property, selling the house and forty acres of land to Isaac Bryant, Jr., of Middleborough, March 7, 1867. As with the Eddys, three generations of Bryants would own and occupy the house. The first, Isaac Bryant, Jr. (1829-94), coincidentally was born the same year the house's first owner died. Bryant was employed as a farmer, and later engaged in the manufacture of wooden packing boxes with Grover Bennett of Middleborough under the firm name Bryant & Bennett. This work was conducted near the Eddy-Bryant House at the old lumber mill located on Raven Brook between Plympton and Fuller Streets. Though this business lapsed in the mid-1880s, Bryant continued to deal in lumber until his death. The 1889 directory of Middleborough residents, for instance, lists Bryant as a farmer and “lumber manufacturer”. Upon Isaac Bryant’s death, the Eddy-Bryant House passed to Bryant's eldest son, Walter T. Bryant (1858-1939) who, like his father, was engaged as a wood and lumber dealer, as well as a teamster and jobber for a number of years. For a short time, he, with his brother Horace L. Bryant (who himself was later postmaster for Eddyville), operated the lumber firm of Bryant Brothers. 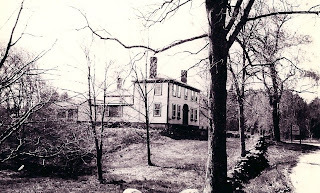 Bryant also farmed the Eddy-Bryant House property, raising vegetables on the land which adjoined Raven Brook. In Toys in the Sand, a delightful collection of childhood reminiscences of numerous Lakeville residents, Walter Bryant's grandson, Donald Erickson, has left some interesting memories of his Bryant grandparents and their Raven Street home. Following the death of Walter Bryant, his own eldest son, Ernest F. Bryant (1881-1962) who was employed as a carpenter, owned and occupied the house. With his death, nearly 100 years of Bryant family ownership came to an end. The few owners since that time admirably have sought to maintain the house. 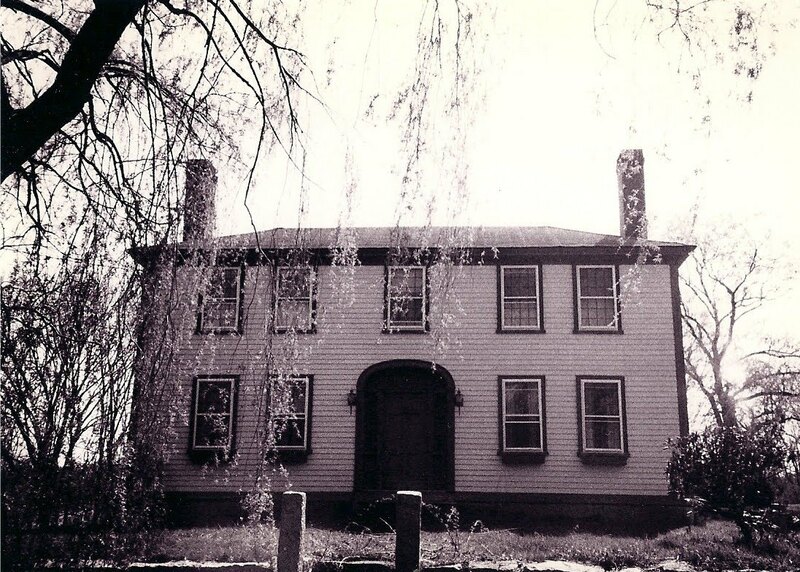 Though the land behind the house has been developed as a cranberry bog, the vicinity retains its quiet charm and elegance, and the stately Eddy-Bryant House continues to preside over the dusty rural lane as it has for the past 150 years. The only house LESS well known is a house I disassembled and reconstructed (much like this Eddy house stylistically). It was the Martin Keith House. It was on Highland Street in Rock Village. It was, arguably, one of the finest period Federal houses in Plymouth County yet little-to-no information exists on it in Middleboro Archives. I have many photos of it now (both before and after). It was suberbly restored and resides now in Ipswich, Mass. 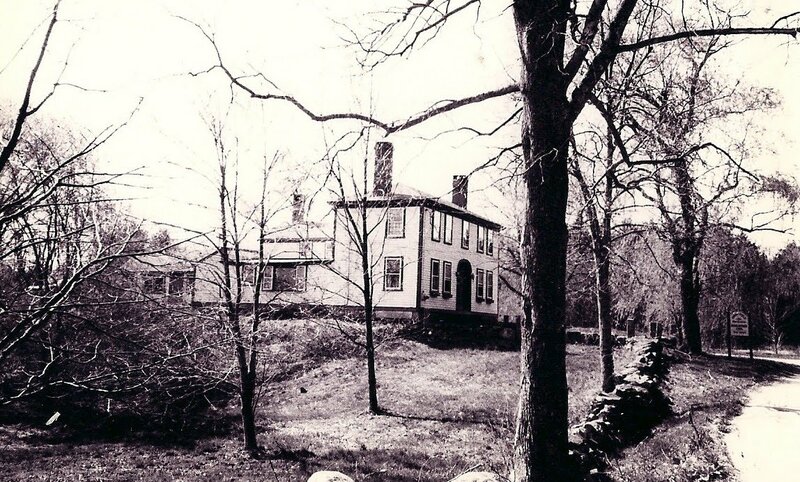 It was originally cited exactly opposite a low Cape style house known as "Gunstock Farm" on Highland Street. It has one of the finest stairways I've seen. Thank you so much for all the information. I lived there for almost 5 years when I was a little girl. From 1971 to 1976. I also went to the 'Little' Green school, and the Central Congregational Church.